Here in Israel we are still reeling from the Passover Murder. The calm bravery of Mrs. Mizrahi could put many warriors to shame. Faced with a tragic situation, her husband shot dead, she and her children being fired upon, she did what she could. She minimized the damage. Now that might sound strange. There was a tragedy, her husband was killed, how can one speak of minimizing damage? That is exactly the point. One of the first lessons I learned many years ago from Itay Gil was "minimize damage". With all his fighting ability, with all his knowledge and experience he admitted that the best we can hope for is to minimize damage. We are not living in a movie. We are not Steven Segal or The Zohan, or Kung Fu Panda. We are real living human beings facing difficult situations. Our goal is to minimize damage. Show me an instructor who will guarantee you that you will become invincible, that no one can hurt you or your loved ones, and I will show you a fraud and a lie. We train to minimize damage. As my teacher always said, if you ended up in the hospital and not in the morgue; you are a winner. In the Passover eve attack there was no way to stop the bullets. Emerging 100% successful was not a possibility. But Mrs. Mizrahi remained calm and took control of the situation, she saved the lives of her children, herself and her unborn child. She is a success story and a heroine. In her case, saving 5 lives plus the unborn child, was the best case scenario of minimizing damage. Nothing more could be done. 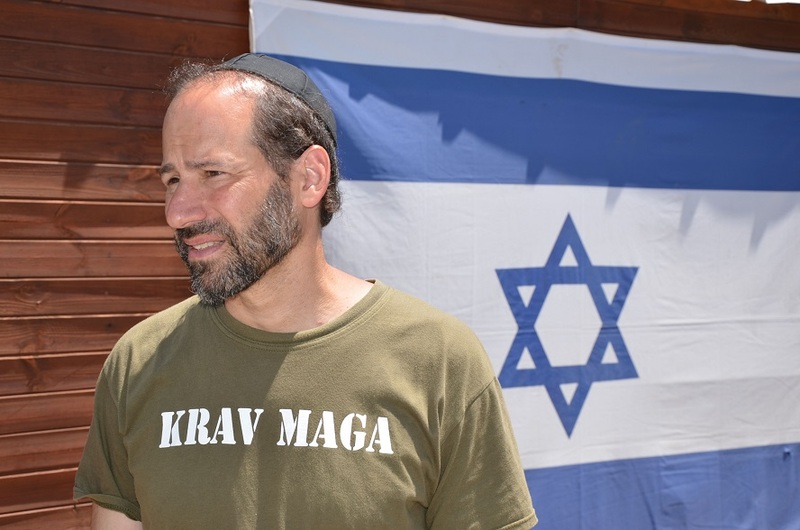 Tonight in our Krav Maga class here in Israel we worked on some new knife attacks. Somehow 3 new situations popped into my head. I was thinking about knife slash attacks all afternoon and suddenly these new situations emerged. IKI Members of our Krav On Line program will be receiving the video clips from this lesson in the coming days. We will work on these at our seminars. There are "pretty" techniques we like to teach to beginners. Techniques that are truly simple, easy and totally effective. We like to teach these to new students because this is a way for them to learn to appreciate the art of Krav Maga. It is an excellent introduction. We do not want to overly intimidate new students. But with our advanced students we begin to experiment. We present new and very challenging situations and we try to find effective solutions. Sometimes the solutions are not pretty. Sometimes they are not pleasing to the eye. Our goal is always to minimize damage. And sometimes we cannot guarantee that you will not get cut. Sometimes we feel you have a pretty good chance of not getting cut but you still might suffer some minor cuts. In that case we aim to...minimize the damage; keep the cuts shallow, avoid vital areas, give you an excellent chance of survival. Minimize damage and survive. Tonight's situations were challenging, many instructors might not even bring up such topics. Better, and more profitable, to stick to the pretty and proven techniques. But our goal is to bring you the best, to survive in a hostile world. We aim to bring you the techniques, the concepts and the mindset to survive, like our brave heroine. We teach all these elements during our Tour and Train program. Life is not perfect, sorry, we must prepare for the dark side, we must be able to cope when things do not go as we planned, when our world turns upside down in an instant, when there is no time to feel sorry for ourselves, when we must react at once, when we must react in a less than perfect circumstance. We aim to minimize damage, and if we achieve more, we can consider ourselves fortunate.